The national culture of Tajikistan has ancient history. 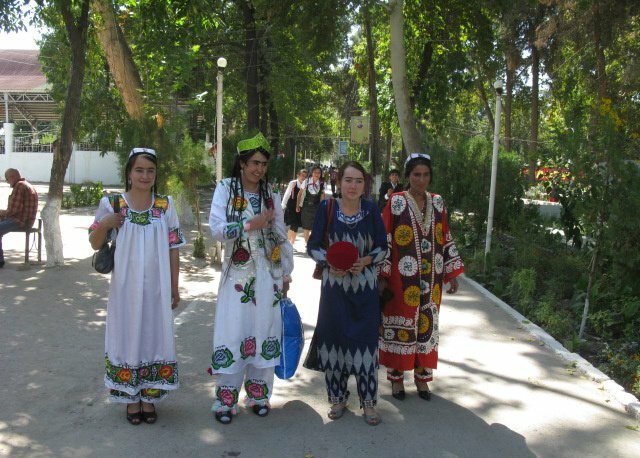 The Tajiks consider themselves as the informants and keepers of thousand-year-old traditions, related to the culture of the whole Persian-speaking area. The state emphasizes its continuity with the early medieval state formations, first of all, the Samanids power with its capital in Bukhara. It is believed that during this period the Tajik ethnos was formed. In 1999 the Republic celebrated the 1100th anniversary of the Samanid state. Shakh Ismoil Somoni, the patron of arts and sciences, is highly respected among the Tajiks. The highest peak (the former Communism Peak, 7495 meters) was named in his honor. The golden age of classical Persian-Tajik culture, especially literature (Rudaki, Firdousi, Saadi and others) fell on the end of the I - first centuries of the II millennium AD. The advanced stage came at the end of the XIX century after including Tajik regions into the Russian Empire, especially since the 1920s, when the introduction of Soviet culture began. It accompanied by the wide spread of literacy in the Russian and Tajik languages (script, based on the Russian alphabet). Sadriddin Aini (1878-1954), the famous writer took the prominent place in the formation of the modern literary language. The classics of literature are also poets A.Lakhuti (1887-1957) and M.Tursun-Zade (1911-1977). The name of the historian and orientalist, as well as the statesman B.Gafurov is widely known. Music and dances play a great role in Tajik culture. Questions of the professional music education and musical heritage of the Tajik people were discussed by the scientists from Tajikistan, Russia, France, at the festival "Tajik musical culture of the beginning of the XXI century: development priorities ". The fourth festival of books and music for children and youth, organized in the framework "Peace Fund for Children" was held in Dushanbe. Universal values were the aims of the festival. Children's dance group "Jakhonoro" ("Decoration of the world") at the international festival "Children of Peace and Art", held in Turkey, took the first place among 36 member countries.